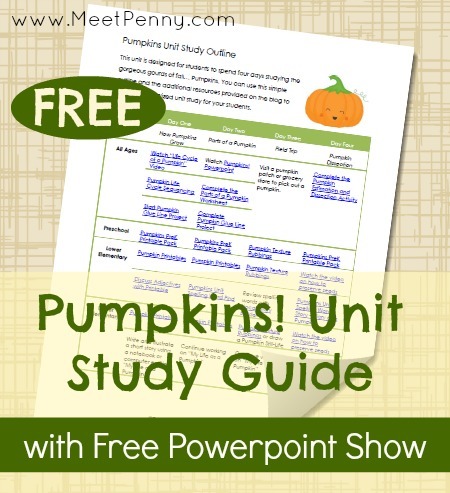 Free Pumpkin Unit Study: Lesson Plan, Printables, Power Point Show + More! You are here: Home / Elementary / Free Pumpkin Unit Study: Lesson Plan, Printables, Power Point Show + More! Tabitha from MeetPenny.com has updated her fun, Free Pumpkin Unit Study for 2013! You’ll find free pumpkin unit study printables, a free homeschool lesson plan, free powerpoint show, plus more. Click here for TONS of homeschool freebies!